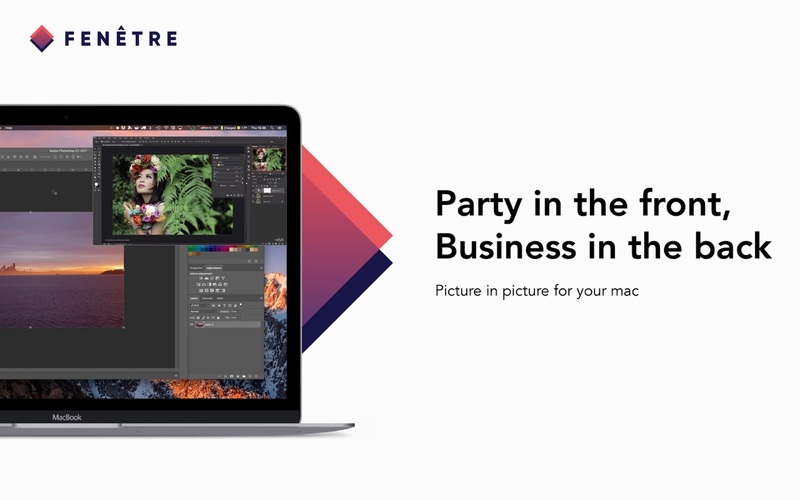 Fenêtre lets you visualize a video, a picture, a flat file or a website. Feel free to watch the latest episode on Netflix while working on your paper. Keep an eye on some documentation while working on your latest library. Have a reference design open while working on you’re amazing website. The window will stay on top of the rest. Amazing features will keep you focused on your main activity without getting in the way. Amazing See Through mask following your mouse. Lets you Click Through the window when needed. [Lite too] Get the browser extension (Chrome or Firefox) to open a link or the current url directly while browsing. Control the opacity of your window. [Lite too] Get an amazing refined experience on specific websites (Youtube, Netflix, Twitch, GitHub, …). Collapse the window to keep it completely out of the way. Customize your experience with settings and hotkeys. Keep a history of what you’ve opened. Open as many windows as you’d like.